Posting for a friend. 1965 Cherokee C. Side mounted air vent doors operate with a lever from inside the cabin. The "knobs" attached to and used to activate the lever have either gone missing or broken. 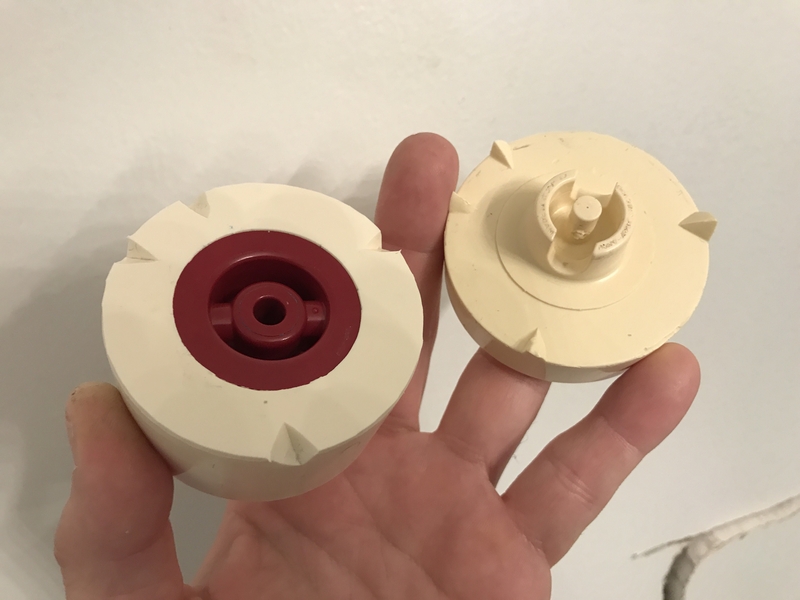 Does anyone know of a replacement source, compatible part, etc. 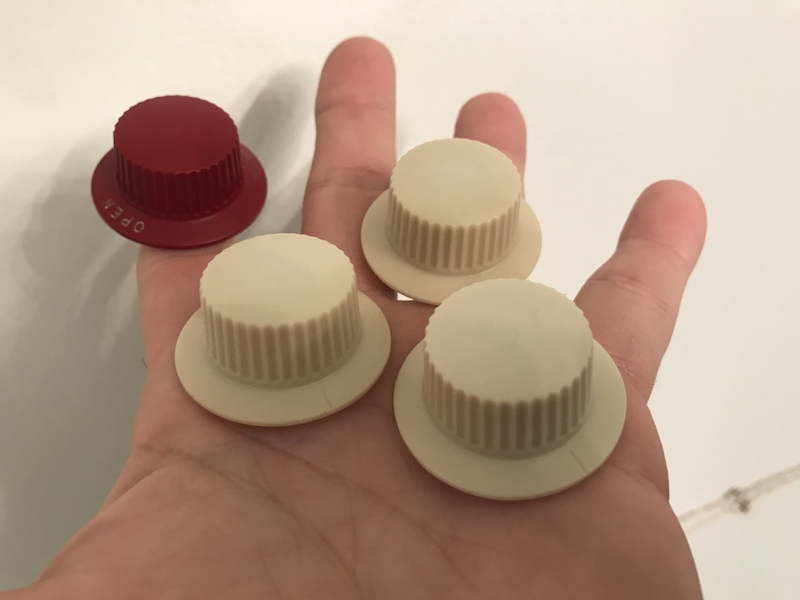 that can be used to repair/replace these knobs? Any help is greatly appreciated. Look at www.Knots2U.com and let me know if this site has it. If not I'll keep looking. What would be best is to have him look up the part number in his parts manual. Thanks Scott - Do not see anything at Knots2U, unless we're not looking in the right spot. Closest we have come is at WagAero. They have an air vent (H-919-000) but it is for a PA-22 and it looks like the knob is part of the entire vent - so I'm not sure the knob itself has a part number. We were hoping maybe someone has replaced their knobs in the past an knows a suitable replacement knob, or maybe has some old parts supply from salvaged aircraft. Thanks again for any help. Ok, it's time to hit the parts manual and get the actual part number. That will make it much easier. Parts manuals are available for $50.00 from www.eflightmanuals.com or www.essco.com. Put on your Sherlock Holmes hat. Sometimes it's easy and sometimes it takes hours, unfortunately. Many times the part number has changed and you have to keep an eye out for that. I've spent lots of Google time searching for parts and also lots of phone time talking with folks at companies that I thought might be able to steer me in the right direction. Sometimes I just strike out, too. Never give up, never surrender! 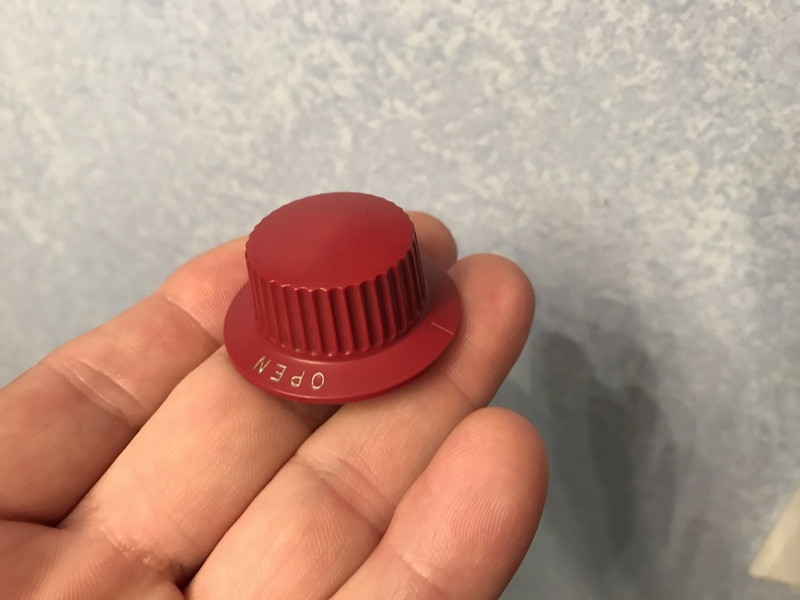 I too own a ‘65 180 C, and I too was looking for replacement knobs for the vents. I couldn’t find them anywhere so I ended up replicating the one that I had. I went to the local hobby store and purchased a mold making kit, it took a few tries but a little trial and error I had some good enough to use. I had to drill and tap threads for the little set screw and paint them to match the interior but they work as good as the original. here’s a couple of pictures of the end result. if I still have the mold, I could possibly make more if you’re interested. OMG, you have talent! Thanks for sharing these. Can you post a picture of the knobs you're looking for? It is a plastic part/piece at the middle windshield, interior ceiling juncture. My “sunvisors’ have been pushed into the piece for years, cracking the plastic. The airplane plastics part is not the same shape/contours. Ok, I’m confused. first we were talking about side vents and the knobs that control them, next we’re on the roof by where the windshield meets the center console, did I miss something? I found the mold I used to replicate some for mine, I could make a few more if you can’t locate some good used ones. New to this forum so I apologize if this has already been covered. I have a 1966 PA-28-140 and the ventilator knob to open the side are vent is missing on the passenger side. It is part # 471-088 -- does anyone know where I could find one? 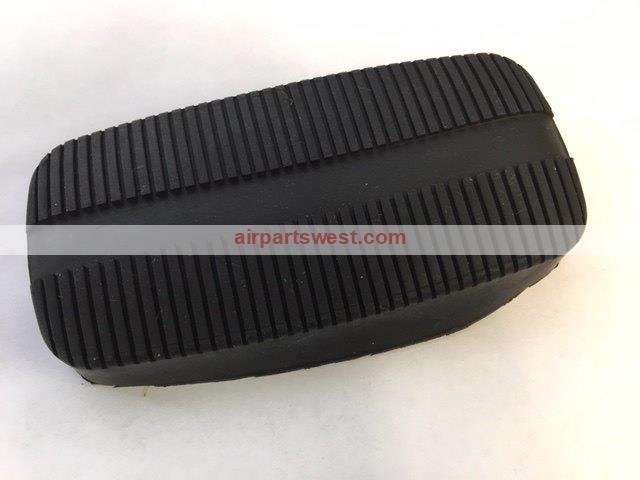 is there anywhere new rubber brake pads can be purchased for a PA-28-140? Hi and thanks for writing. I'm not aware of rubber brake pans being available for a 140. Perhaps some other members will chime in here. Wondering if the 62867-02 pedal pad is being referred to...? You're thinking faster than I am today, methinks. You're probably right. I wasn't even thinking in this direction. Thanks, as usual!